Start with a clean piece of paper and write “My Plan of Action” at the top. Steps to Wellness is geared toward becoming physically, spiritually, and emotionally balanced. This is a holistic model, meaning that the body and mind – how you feel and act – are intertwined. Let’s start with the idea of being in denial or ignorant about exactly how you’re feeling. If you’ve read this far then you’re not in denial nor ignorant! This is your bridge from the cognitive to the practical, transforming knowing into doing. The top priorities of the action plan are dealing with your symptoms. If you have thoughts and/or plans of suicide, you should regard it as a medical emergency. GET HELP NOW! You must NOT be alone. If you are NOT sleeping or eating and you haven’t told anyone about these problems, you MUST do this first. If you are sleeping and eating but not getting out of the house despite wanting to, this becomes your priority. 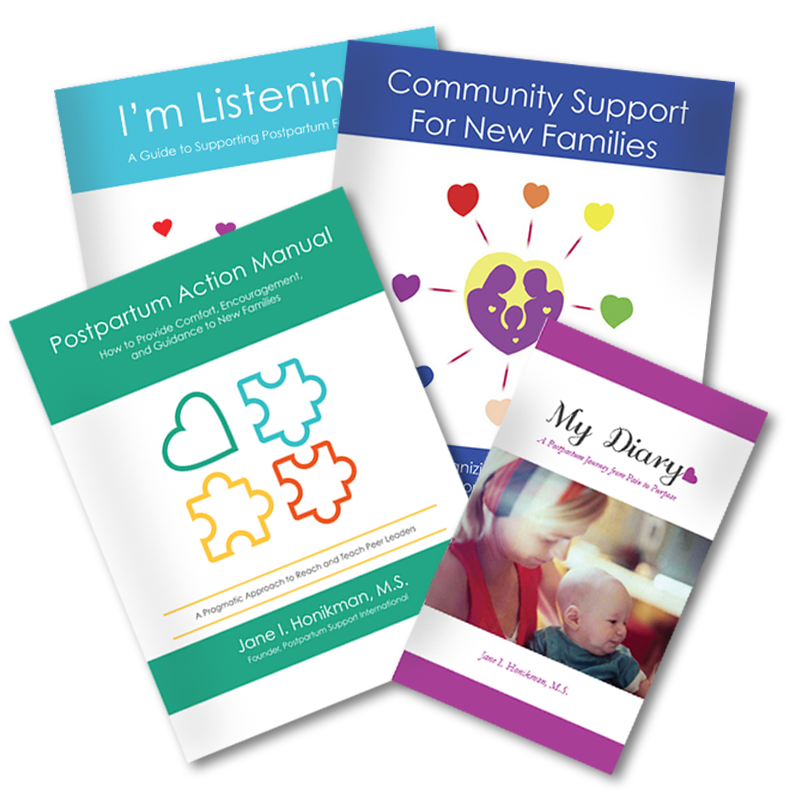 If there are no friends or family members to care for the baby, your next step is to get help – Postpartum Support International is a great place to start. I want to encourage you to make a list of phone numbers of parent-friendly centers. Call your local public library to find help. 1. Education: What have you read? online or from the public library? 2. Sleep: Is your sleep restorative? 3. Nutrition: When and what are you eating? 4. Exercise and time for yourself: Are you getting either of these? 5. Nonjudgmental sharing: Can you talk to someone about how you’re feeling? 6. Emotional support: Do you have this and from whom? 7. Practical support: Do you have any? 8. Referrals to resources: Do you need any? A simple self-scoring method I’d like you to use is to draw a “sunshine smile” or a “frown face” beside each one to indicate how you’re doing in each area. A plus or minus sign next to each item works as well. Either method reveals areas where YOU need to get help.